Alex Barkov Deserving of Major Hardware - The Point Data-driven hockey storytelling that gets right to the point. This is a story about a player who is -9 in 22 games and why he should be the front-runner to win the Selke trophy as the NHL’s top defensive forward. In part, because there are so few publicly available measures to quantify a players defensive impact on the game, some voters lean on ‘while on ice’ statistics, like plus/minus, a statistic that completely misses the point when talking about a player like Alex Barkov. Like last season, Barkov is averaging right around a point per game and his individual defensive metrics are off the charts. Barkov leads all forwards in stick checks, averaging nearly 3 per game, using his gigantic twig to separate opponents from the puck. A prime example, this steal and snipe sequence against the Ottawa Senators. As nice as that was, a majority of Barkov’s stick checks have actually come in the defensive zone, where he also leads all forwards. Not only is he able to eliminate offensive threats at a high rate, but his elite playmaking ability allows him to turn stellar defensive plays into offensive opportunities. Watch how this play starts, in the defensive zone, with Barkov lifting a stick to gain possession before skating into the offensive zone and feeding Evgenii Dadonov for a goal. Barkov also ranks 2nd in blocked passes and 1st in blocked defensive zone passes per game among forwards. He is the only forward in the league to rank top 5 in stick checks and blocked passes. Tallying key defensive impact metrics, Barkov averages nearly 10 successful possession changing plays per game, most of any forward. But, here’s the craziest part. Not only does Barkov have the most active stick of any forward in the league – he hasn’t taken a single penalty in 22 games this season. Not one hooking, tripping, slashing penalty. Nothing. 62 stick checks, 141 blocked passes, 0 penalties. Think about that. Barkov has used his stick to change possession of the puck more than any forward in the league, over 200 times, and hasn’t taken a penalty. 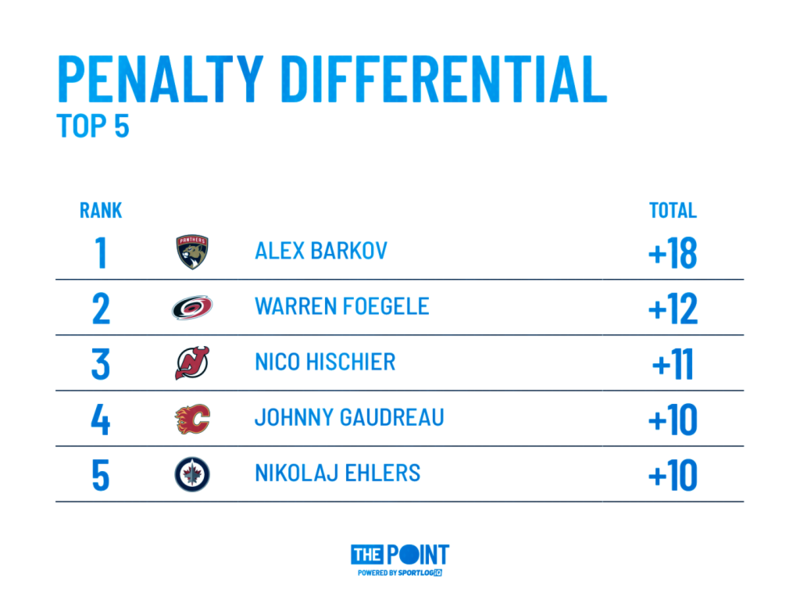 In addition to not taking a single penalty, Barkov has drawn a league-high 18, giving him the best penalty differential of any player in the NHL. I spoke with a current NHL assistant coach a few months ago about the value of players who draw more penalties than they take. He told me that he’s been in organizations where they would factor this into player acquisition conversations. If they were looking at a couple of guys who were both 20-goal scorers but one had a penalty differential of +10 and the other had a differential of -10, that’s a swing of 20 odd-man situations. If your team has a powerplay success rate of 20% and a penalty kill of 80%, the player with the +10 differential is all of a sudden worth 22 goals while the player with a -10 differential has a value of 18. By that logic, when you factor in Barkov’s +18 penalty differential on a Panthers team that currently has a powerplay clicking at 25.6%, that’s an extra 4.7 goals Barkov has added in value to his team, on top of the 8 he’s scored in 22 games. 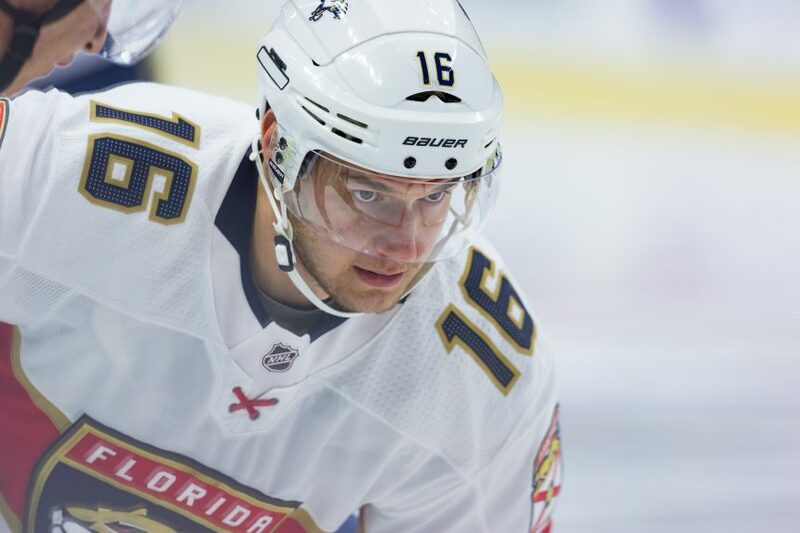 Bottom line, Barkov continues to be one of the most dominant 200-foot players in the game and if he continues to impact the game defensively at the rate he is, he should not only be a Selke finalist this season, he should win it. The Lady Byng, too if he stays out of the box the way he has.